The ATX 25-60x65 is the perfect compact traveler. 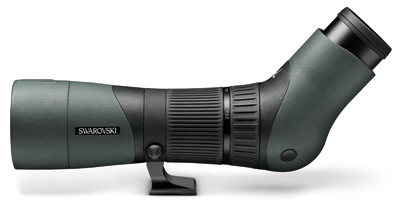 Anyone who enjoys traveling or long days in the field needs a lightweight and compact spotting scope that is easy to transport. The 65 mm objective module combined with an angled view offers comfortable observing for hours and is perfect for those who want a lightweight device with outstanding optical performance, a large field of view, and impressive close-range focusing (6.9 ft / 2.1 m).